We are the most acknowledged name in this industry, engaged in offering a wide range of Home Napkin Incinerators. Offered napkin incinerator is short and sweet in design & can be fixed on the wall with easy installation for the convenient use in the Toilets. This Home Napkin Incinerators is checked on different parameters so as to ensure its flawlessness from our end. We feel proud to introduce ourselves as the leading Manufacturer, Supplier, Trader, and Seller of Home Model Napkin Incinerator which has Best Quality with minimal Cost. 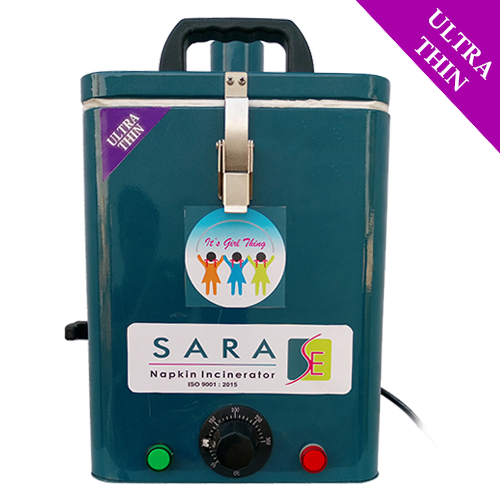 We provide this Home Sara Model Napkin Incinerator to our customers in different sizes, designs and specifications. Easy removing Ash collecting tray ensures cleanliness. Big door open makes it convenient to load used napkins. Heater of high power makes the temperature rise quickly and improves the efficiency. Double stage computer programmed control panel gives Long life for heater and reduce the electricity bill. Available with size of 50, 100, 200 and 500 napkins per day. Note: Above mentioned price is the starting price of the product; Prices may vary according to the size and structure. We are the well-known Best Quality Napkin Burner for Hostel manufacturer, supplier and traders having a team of experienced engineers for constant research and development to develop the cutting-edge technology in the field of used Napkin Waste Disposal. The heater of high power makes the temperature rise quickly and improves the efficiency. Double stage computer programmed control panel gives Long life for the heater and reduce the electricity bill. Available with the size of 50, 100, 200 and 500 napkins per day. We feel proud to introduce ourselves as the leading Manufacturer, Supplier, Trader, and Seller of Napkin Burner for Home which has Best Quality with minimal Cost. We provide this Home Model Napkin Incinerator to our customers in different sizes, designs and specifications. 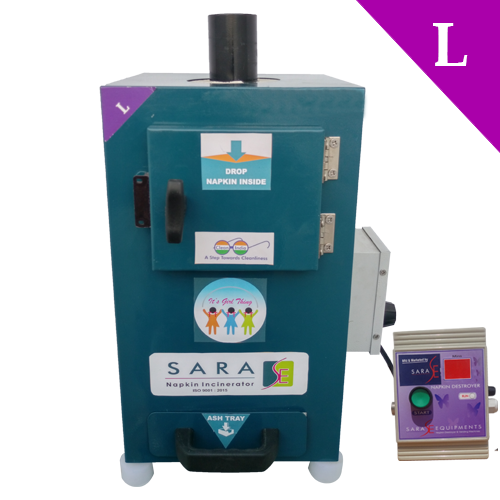 We feel proud to introduce ourselves as the leading Manufacturer, Supplier, Trader, and Seller of Napkin Incinerator for Home which has Best Quality with minimal Cost. We provide this Home Model Napkin Incinerator to our customers in different sizes, designs and specifications. Available with tsize of 50, 100, 200 and 500 napkins per day. Looking for “Home Napkin Incinerator”?